A growing number of Canadian snowbirds who winter in Florida are taking advantage of a new excursion opportunity - visiting Cuba by cruise ship! While Canadians have been loyal visitors to Cuba for over 40 years now, until very recently Canadians couldn’t visit Cuba by cruise ship if that ship was based in the U.S. – or even calling at a U.S. port. For decades, Americans were unable to visit Cuba except under the most stringent of circumstances, but all of that changed in 2015 when the Obama administration negotiated a deal with Cuba that changed the rules and essentially opened the doors for American tourism to come to Cuba. Airlines, tour operators and cruise lines began applying for routes and planning itineraries that would include Cuba. However, since the subsequent change in the U.S. administrations, President Trump announced that he was cancelling the previous administration's deal with Cuba. This created some confusion, requiring the travel industry to pause and digest the new rules. But it turns out that Cuba is actually still accessible for Americans who can travel there under many different categories. Even under the amended rules, Americans can still legally travel to Cuba under the popular people-to-people category, provided they travel with an authorized company. Individual travel is a little more difficult for Americans at the moment, but not impossible. The reason all this is relevant to Canadian snowbirds is that the travel industry has responded with lots of flights and cruises out of Florida to different points in Cuba, which opens up some novel opportunities to visit Cuba if you’re spending your winters in Florida. 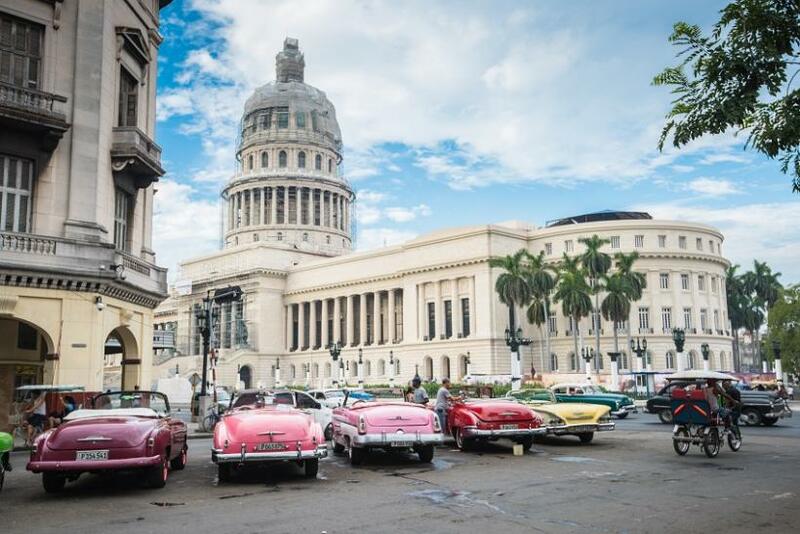 Cruise lines are reporting a steady increase in bookings of itineraries that include Cuba, with a variety of these cruises sailing from Miami and Ft. Lauderdale, as well as Tampa. They vary from a quick 4 night cruise with a call at Havana to 5 day, 7 day and longer expedition cruises on luxury ships. Prices vary from the mid $400s USD per person to $4,000 USD and up for luxury Caribbean cruises and World Cruises that call at a Cuban port. While most of these cruise lines are calling at Havana (including itineraries that stay overnight, allowing you to experience the nightlife in the city or go to the Tropicana), a couple are offering a more in-depth Cuba experience and calling at other Cuban cities such as Cienfuegos and Santiago de Cuba. 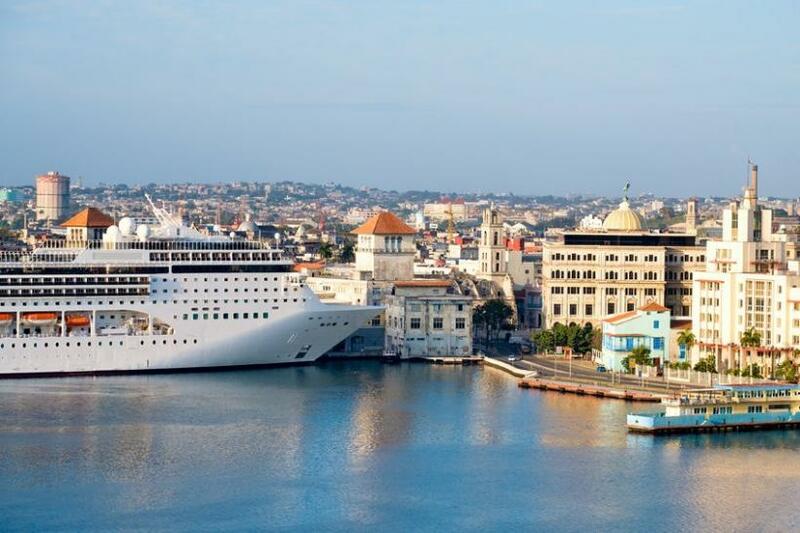 Cruise lines currently sailing to Cuba include Carnival, Royal Caribbean, Norwegian Cruise Lines and MSC, as well as more upscale lines such as Viking Ocean Cruises, Regent Seven Seas, Oceania, Azamara and Seadream Yacht Club offering a few itineraries. However, keep in mind that Cuban ports cannot handle the newer larger cruise ships. Accordingly, cruise lines are using smaller ships for these routes, which means they won’t have all of the amenities that the new mega ships offer. Cuba is refreshingly free of commercialism as we know it in North America. You won’t see a McDonalds, Tim Horton’s or Starbucks, but you will sample wonderful coffee. A visit here is a chance to see a completely different way of life that is unique in the Americas. While many Canadians have enjoyed beach vacations at a Cuban resort, not everyone has been to Havana. This colonial city is one of the most fascinating places in the Americas and was founded by the Spanish in the 16th century. Today, the city is a sprawling metropolis of over 2 million people but it retains its historic core in Old Havana, a must-see for many of the over 1 million tourists who come here each year. The city has many examples of baroque and neoclassic architecture that is in varying stages of being restored. You’ll also find Cuban music everywhere and cafes, bars and restaurants where you can soak up the scene. Ernest Hemingway spent a lot of time here - you can take a tour of his favourite haunts and sample a Mojito. You will still see many vintage American cars which are somehow still running and have become an icon of this vibrant Caribbean city. There are galleries, markets and of course, cigars and rum to bring back. 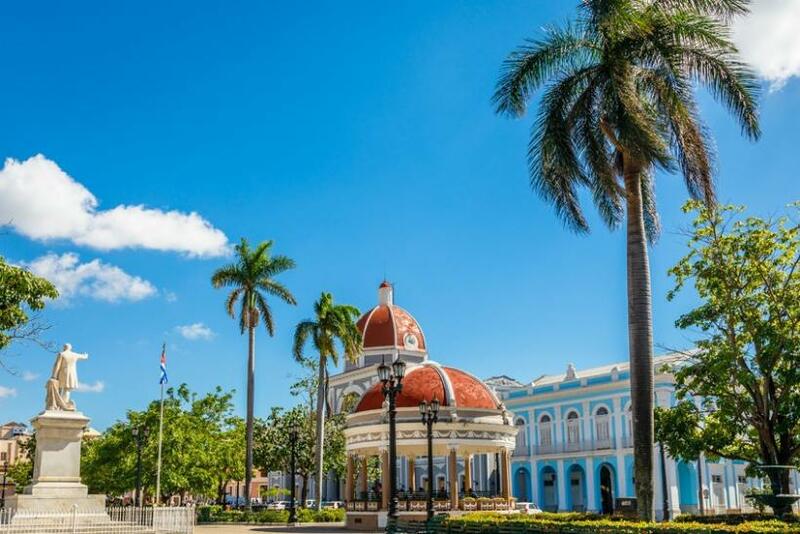 This lovely Colonial port city on the south coast of Cuba has a European feel and is known as The Pearl of the South because of its beautiful architecture and spectacular setting on a large bay. The city was originally settled by French immigrants from France and Louisiana in the early 19th century and retains its own unique ethnic mix to this day. Nearby there’s the Delfinario - a dolphin aquarium and show, the El Nicho Waterfall and some amazing dive sites. Another historic colonial city on the Southeastern coast, this city is a thriving Afro Caribbean centre where Fidel Castro launched the Cuban Revolution. 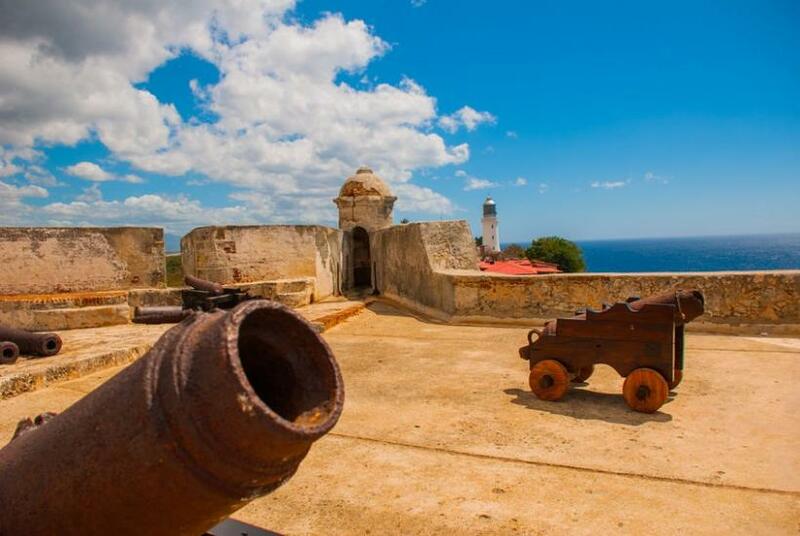 It’s located on the Caribbean Sea and flanked by the Sierra Maestra Mountains, creating a beautiful setting. The city boasts many fine examples of colonial architecture. The frenetic Cuban music of Son and Salsa flourishes here and you’ll have no trouble finding it and many more musical styles in the Tivoli district, where musicians hang out. Take a stroll through the magical tropical gardens in the Jardin de los Helechos. When you enter Cuba, the cruise line will issue you a tourist visa. Once it is stamped by Cuban customs, be sure to keep your half with your passport as you will have to turn it in when you depart. You’ll also need to exchange money when you arrive. You will get a much better rate for your Canadian dollars so keep some for this purpose, as Cuba charges a 10% surcharge for exchanging U.S. dollars. There are no ATMs, so you will need to bring cash. Your cell phone may or may not work in Cuba. If you have a U.S. cell phone it will not work but your Canadian phone will. However, roaming fees are very high.